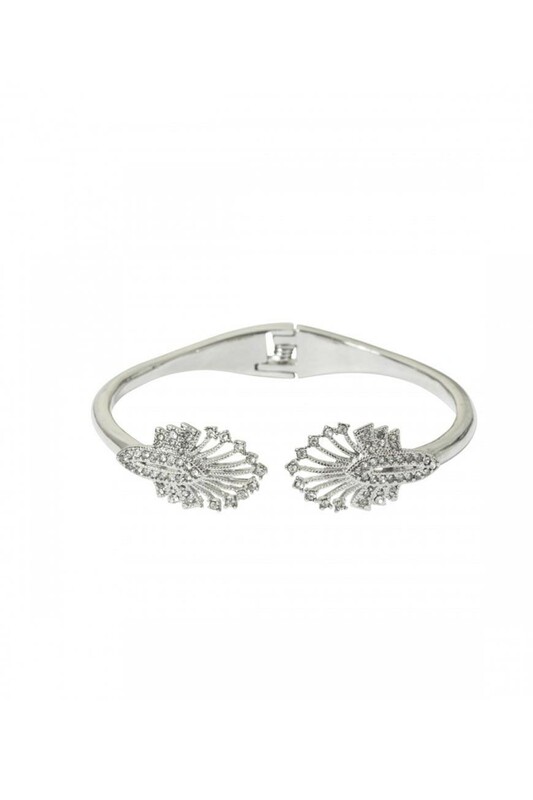 For a full on flush with flapper fun, this Silver Deco Fan Bracelet is a classy Gatsby hit for any outfit. The art deco charms on this silver flapper bracelet meet in a cool clasp bringing a burst of diamante brilliance and a 1920s pretty shape that is both delicate yet dramatic. We have this art deco bracelet earmarked as the perfect present as it is subtle but undeniably beautiful, bringing elegance but a little decadence too! Team with the matching earrings for a knock-out punch of prettiness. - Silver tone metal open bangle (fits on anyone - hurrah). - Diamante encrusted art deco fans with cut out detail (a glimpse of Gatsby).